Recently, I was given the opportunity to ask questions of Matt Phillips, designer and programmer of Tanglewood, about his game. 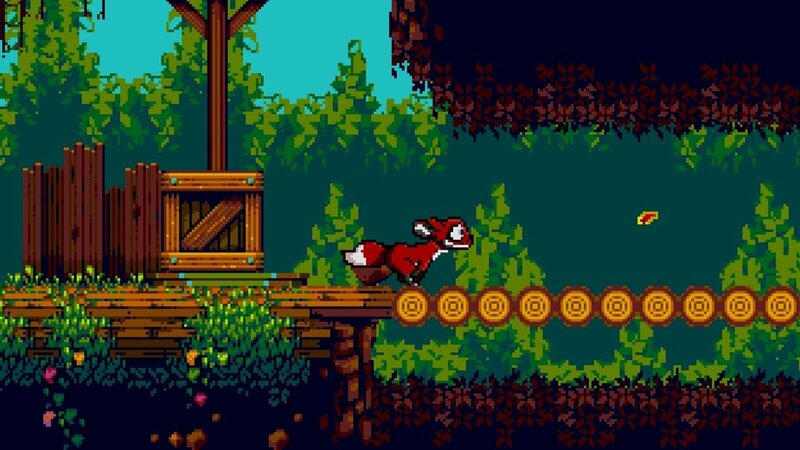 Tanglewood, for those unaware, is a recently released indie title that harkens back to the era of the mascot platformer, developed using genuine Sega Genesis tools and processes. When it comes to authenticity, few can rival this game. From that adherence to old development software, to the current platformer landscape as a whole, I asked Mr. Phillips a host of questions– to which he gave full, insightful answers. The unabridged transcript of our dialog can be found below. Tanglewood represents a major departure from the other titles you’ve worked on, what motivated you to work on this game? I’ve wanted to do this since I was young, way before I even entered the world of games development, and I guess the dream never died as I grew up. It was only in the last six years or so that I got the spare time and the opportunity to see it through, though. When you were working on Tanglewood, while you used authentic Sega Genesis development tools, what sort of mindset were you in? Did you approach this game as a developer in 2018 working within the confines of 90s development, or did you try to put yourself in the headspace of a 90s developer? I tried from the very start to pretend it was the ’90s all over again, right down to buying computer parts from newspaper listings and boot sales rather than turning to eBay. I couldn’t do it all that way, unfortunately, but I tried where I could! I wanted to know exactly what it was like to be a 16-bit console programmer during its prime, as if I was born 20 years too late. What were the challenges associated with working in the 68000 assembly language while using authentic Genesis development tools? Did you appreciate the limitations placed on you? It was a joy and a headache all at the same time. It’s a very good CPU for its time, with an elegant instruction set, and quite easy to learn compared to its alternatives of the era. Unfortunately the only comparisons I had at the time were modern 3ghz CPUs and C++ compilers, so it was quite a contrast to what I was used to. It’s a very steep learning curve when you’re working backwards, trying to un-learn modern coding habits and start things again from scratch. I certainly appreciated the limitations, it’s a very different way of working but all attention is suddenly on gameplay and story, since you no longer have flashy graphics and audio to make your game shine. While Tanglewood is the quintessential retro throwback, what lessons, if any, did you take from the modern games? There were a lot of ’90s tropes that were best left in the past, things like clunky controls, harsh and unnecessary deaths, and poor (or lack of) save systems. I tried to look to modern games to improve the ugly parts of the 16-bit era. Nostalgia is a funny thing, a “rose tinted glasses” situation – you need to create these kinds of games how people remember them, not how they actually were, because some parts were just awful. There’s a very thin line between the two. Back during the SNES/Genesis era, the lion’s share of 2D platformers were AAA titles. Nintendo is still very active in the genre, and other developers such as Capcom are dipping their toe back into the space with titles such as Mega Man 11. However, the majority of platformers these days come out of the indie scene. How do you feel about this shift? I think it’s fantastic and I hope the trend continues. Timeless gameplay is a real thing, some games just played so well you can keep bringing them back and introducing them to new generations, or base new games off 20 or 30 year old innovations. I’ve no doubt games like the original Sonic trilogy will be around for hundreds of years to come and nobody will get tired of them, they’ve been fun to play throughout the eras. Finally, if you only had thirty seconds to explain to the Gaming Trend audience what makes Tanglewood special, what would you say? It’s a love letter to ’90s mascot platformers, that takes both old and new concepts to bring you a genuine 16-bit game that aims to hold up to today’s standards, with a captivating story, lovable characters, and intriguing puzzles that will both take you back to your childhood and fit in with today’s titles. Thank you very much to Matt Phillips for his time. For more on Tanglewood, our review can be found here. Stay tuned to Gaming Trend for more coverage on everything this industry has to offer.